Missing the World Cup? Don&apos;t worry, as there&apos;s another whole summer full of international soccer on deck with the Women&apos;s edition set to kick off in Canada this June. 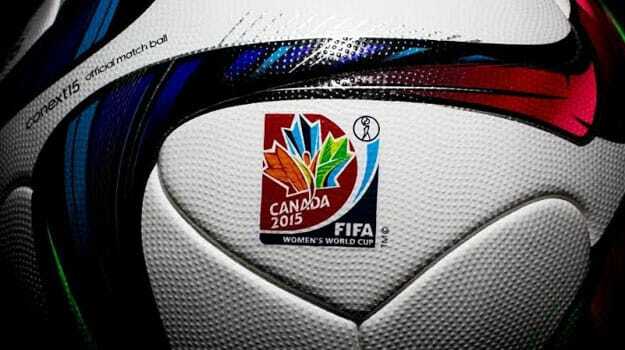 To make you even more thirsty for some international competition, adidas has unveiled the official match ball the for the 2015 Women&apos;s World Cup. Named the conext15, the ball takes the same ground-breaking technology used in the brazuca and upgrades it with new structural innovations. The conext15 features the unique symmetry of six identical patterns alongside a different surface structure guaranteeing improved grip, touch, stability and aerodynamics. With the World Cup set to be played on artificial turf pitches, it will be interesting to see how the new ball interacts with the controversial playing surface. Check out the conext15 in the gallery above and look for it in play at the 2015 Women&apos;s World Cup beginning June 6 in Canada. The ball is available now at adidas for $160.